Lillian was a naïve young woman of twenty-one when the wealthy and aristocratic Charles Oberon asked for her hand in marriage. She only had her beloved sister Helene to care for, and Charles assured her he would take care of her needs. Lillian loved Charles’ six-year-old son, Albie and in her innocence, thought she could make a difference to the man who had lost so much. Living in the Chilterns manor house, Cloudesley, Lillian began to feel trapped and caged – but she had no choice. This was her life and her future with a damaged and volatile husband. Almost sixty years later, Maggie Oberon, Lillian’s granddaughter, was in Australia when she received the phone call to say her beloved grandmother had taken ill. Immediately rushing to be by her side, Maggie knew she would face aggression and censure over the events of her leaving twelve months prior. But her priority was Lillian. She had raised Maggie – and Maggie owed her everything. But Cloudesley was falling into ruin – the repairs the old manor needed were too many to be attempted; the debts insurmountable. What would Maggie do? As the past slowly came to light, Maggie found it only created more questions. Would she be able to decipher the secrets of Cloudesley, or would the manor keep them hidden for all time? 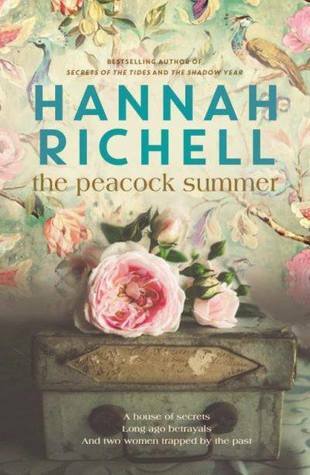 The long awaited new novel from Aussie author Hannah Richell does not disappoint. The Peacock Summer, apart from having a divine cover, is a heartbreaking and heartfelt story of love, loss and dark secrets. The answer to one of the questions when it came, was a shock – I didn’t see it coming! Poignant, intriguing and utterly captivating, The Peacock Summer is one I have no hesitation in highly recommending – 5 stars. 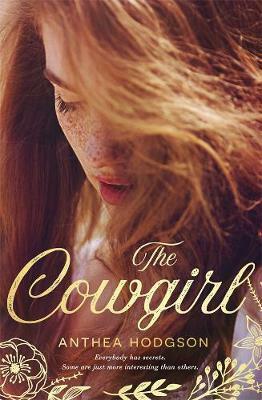 Teddy Broderick has lived on her farm almost all her life, committed to the rhythms of the country – seeding, harvest, shearing and the twice daily milking of the cow her grandmother has looked after for years, but she dreams of another life, in the wide world away from the confines of her property. She thinks she knows her home and its community inside out, until her grandmother Deirdre announces there is a house buried on the property, and Will Hastings, an archaeologist, is coming to dig it up again. As they work together to expose Deirdre’s past to the light, the stories they tell bring them together and pull Teddy further away from her home. But what is hidden in Deirdre’s childhood house that she needs to see again before she dies – and why? What is it that stops Teddy from living the life she truly wants? And will she ever find her freedom? A uniquely rural Australian coming of age story that tips it hat at the #MeToo movement. Anthea Hodgson writes empathetic characters that challenge societal pressures to confirm and be controlled. Sometimes there are small victories, though the scars form the many skirmishes take a long time to heal. Ultimately this is an uplifting book that will bring a tear, all be it a happy tear, to your eye. What happens while we choose not to see? When we ignore the paper on the windows, the absence of a child, the menace of a neighbour? What happens behind the locked doors, in the overgrown yard, during the passing of the years? What happens in the silence, in the seclusion, in the darkness and the night? What happened to Ellie? What a read! Alicia Gilmore is a writer to watch out for, I cannot wait to see what inspires her next novel. √ Drama and is a dark, brooding and poignant narrative. √ Perfect pacing, you will devour this in one sitting. √ The dialogue is authentic and chilling. The voices/the characters pitch perfect. √ The locations leap off the page. √ The protagonist’ situation will break your heart, yet there is no melodrama here. This work of fiction screams to me – this could happen, this has happened and recent new feeds sadly support my theory. √ The writing is extraordinarily good – and this is a debut novel? WOW! √ An element of optimism; tragic yet the light shines in. Alicia Gilmore I congratulate you! And look forward to your next book. German soldiers occupy provincial Lucie-sur-Vionne, and as the villagers pursue treacherous schemes to deceive and swindle the enemy, Céleste embarks on her own perilous mission as her passion for a Reich officer flourishes. The happiness that Céleste Roussel had taken for granted with her family on their farm had disappeared with the occupation of their small village of Lucie-sur-Vionne by German soldiers. Her father had been taken to a labour camp early in the occupation, so running the farm was left to Céleste, her mother and brother Patrick. He and his best friend Olivier quickly became part of the French Resistance, doing all they could to drive the Boche from their lives. Céleste soon took the eye of a certain German officer, and found her feelings reciprocated. She knew it was wrong – the hatred felt toward the Boche was in them all. Her determination to assist the Resistance saw her embark on dangerous missions; all the while keeping her secret life hidden from all but a few. But the arrest and deportation of family members was the beginning of the end. Would the angel talisman which had been with generations of her family’s women, and now belonged to Céleste keep her safe? Would she ever see her family again? 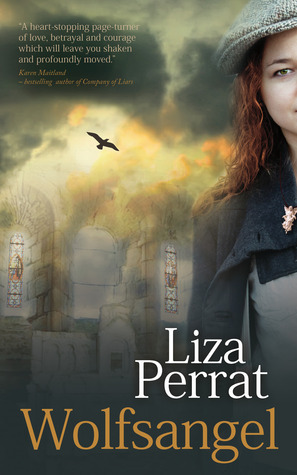 Wolfsangel by Aussie author Liza Perrat is absolutely outstanding! The second in the Bone Angel series, nevertheless it can be read as a standalone. The Author’s Note at the end of the book was extremely interesting and shows, though it is complete fiction, Wolfsangel is based on a factual event which occurred on 10th June 1944. I didn’t think I could hear of more shocking atrocities committed by the Germans in WWII, but it seems I now have! 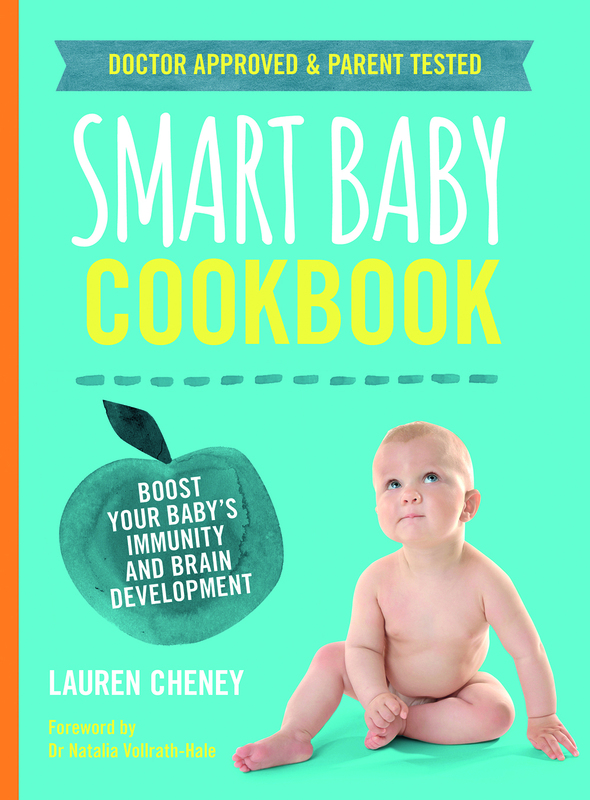 Brilliantly written, and highly recommended. A 5 star read which will be in my top reads for 2018. All Malia needed was a single litre of milk and now she’s surrounded by police and Zach has disappeared. Detective Ali Greenberg knows that this is not the best case for her, not with her history – but she of all people knows what Malia is going through and what is at stake. And then there is someone else. Someone whose heart is broken. Someone who feels she has been unfairly punished for her mistakes. Someone who wants what she can’t have. A gripping, haunting family drama shot through with emotion and suspense. Detective Ali Greenberg had only been back at work a month, but she wanted this case. She and her partner Mike were at the service station, along with what seemed like every police team in Sydney. A missing child, especially a baby, tugged on the heartstrings of everyone and brought the police out in full force every time. Ali and Mike needed to move the investigation forward quickly – the weather was scorching; Zach had to be found soon. With Malia’s parents rushing from Melbourne to be by her side, and everyone trying to help find Zach, Malia wondered if she’d ever feel “normal” again. She was desperately missing her little boy – he was overdue for a feed; was he hungry and thirsty? Was he crying for her? Would someone please just FIND HIM! 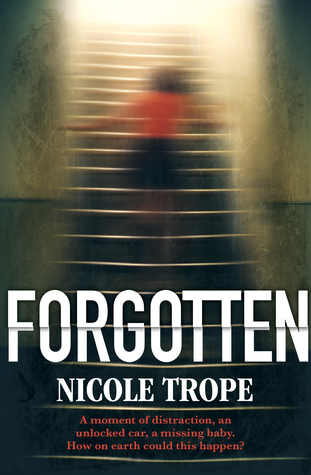 Forgotten by Aussie author Nicole Trope is an explosive, fast-paced and emotional race against time. The suspense is breathtaking, the narration is extremely well done – I needed to race through the pages to find out what happened. The author has written another dramatic psychological thriller which shows how one small mistake can have devastating consequences. I loved Hush, Little Bird and Forgotten is up there with it. Another 5 star read which I highly recommend. Mystery, ghosts, sins of the past…this book has it all. When Audrey Kepler inherits an abandoned homestead in rural Queensland she jumps at the chance to escape her loveless existence in the city and make a fresh start. In a dim back room of the old house she discovers the crumbling photo of a handsome World War II soldier – Samuel Riordan, the homestead’s former occupant – and soon finds herself becoming obsessed with him. But as Samuel’s story unravels, Audrey discovers that he was accused of bashing to death a young Aboriginal woman upon his return from war in 1944. When she learns that other unexplained deaths have occurred in recent years – one of them a young woman with injuries echoing those of the 1944 victim – she begins to suspect that the killer is still very much alive. And now Audrey – thanks to her obsessive need to uncover the past – has provided him with good reason to want to kill again. 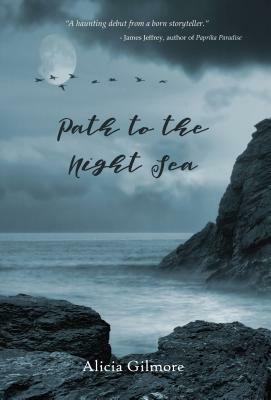 What a fantastic debut novel – this is a great hybrid narrative – a little Gothic, a little Australiana, a little Picnic at Hanging Rock, a little mystery, murder and a little bit of history and then a slice of romance on the side. I loved the story; I loved the use of letters, diaries and old newspaper stories to help tell events of the past. The writing is superb, there are descriptions in the novel that made my senses come alive; the description of Danny’s handmade chocolates (p 174) “… I had only meant to pop it in, chew it and quickly swallow, just to be polite. Bu the moment the chocolate touched my tongue I felt my spine unravel, and if my mouth hadn’t been full I’d have uttered a sigh of sheer joy. The chocolate was fine and creamy, vaguely bitter, smooth and as yielding as honey. Then I bit down… it was the singular, most bracing pleasure I’d had in…” I want to try those chocolates! I craved chocolate liqueurs whilst reading this passage. Then there was the description of Danny ‘writing’ on Audrey’s hand by the rose arbour- sensual and wicked and delightful. The sensual elements in this writing are subdued and elegantly written; the mystical occasional wafting of old roses where there should be none is effective in conjuring up the past, the descriptions of the Australian bush captures its uniqueness. The ghostly apparitions are real and scary; the violence of the past imbues the present. The house holds many secrets and slowly as they are unlocked, the danger increases. This is a great read. The beautiful language and descriptions will hold you spellbound. The mystery will enthral you and the romance will inspire. The violence and past atrocities will make you cringe in fear for those in the present. This is an impressive novel.